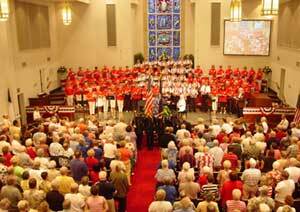 Welcome to Myrtle Beach Churches, where we list local churches and centers for worship on the Grand Strand. We are North Myrtle Beach locals who enjoy our church and the fellowship of other Christians, and wanted to provide a website where locals searching for a place to worship and visitors to our area could find a church to attend. Churches on this site are categorized both by area, or city, and alphabetically, so you should have no problem finding one to your liking. If you're on vacation here, we hope you're having a wonderful vacation, and pray that you and your family have safe travels, and God Bless! If you'd like to visit a local Christian-centered website, we recommend Myrtle Beach SC dot com. If you are a member or representative of a local church, and your church has a website, Email Us. We are happy to include a courtesy link to your church's site. Traveling to New York? Visit New York Christians website.